Some of the biggest names in history will be in attendance to take part in the festivities, and notable fighters will be in competition to entertain the crowd on Saturday night. The main event of the 25th anniversary show sees the return of one of the most entertaining fighters UFC has ever seen as"Korean Zombie" Chan Sung Jung takes on Yair Rodriguez -- who is replacing an injured Frankie Edgar -- in a featherweight bout. 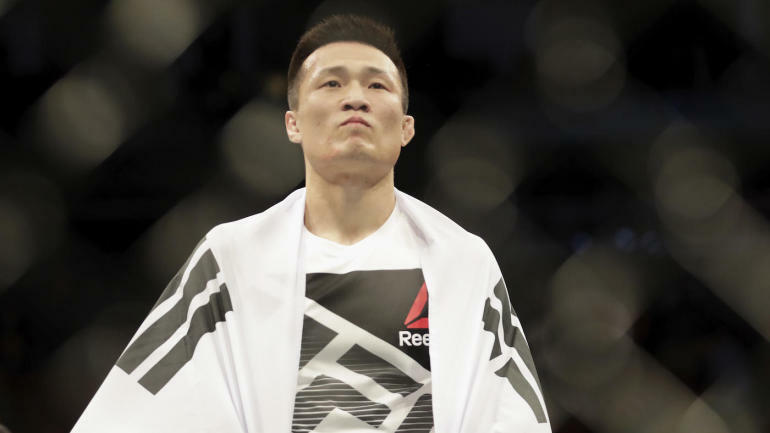 Jung made his return to the Octagon after four years away last February in thrilling fashion, showing everyone he still has it with a first-round KO win over Dennis Bermudez. Plus, Donald "Cowboy" Cerrone makes his return to the Octagon, looking to get back on the winning side when he faces "Platinum" Mike Perry.